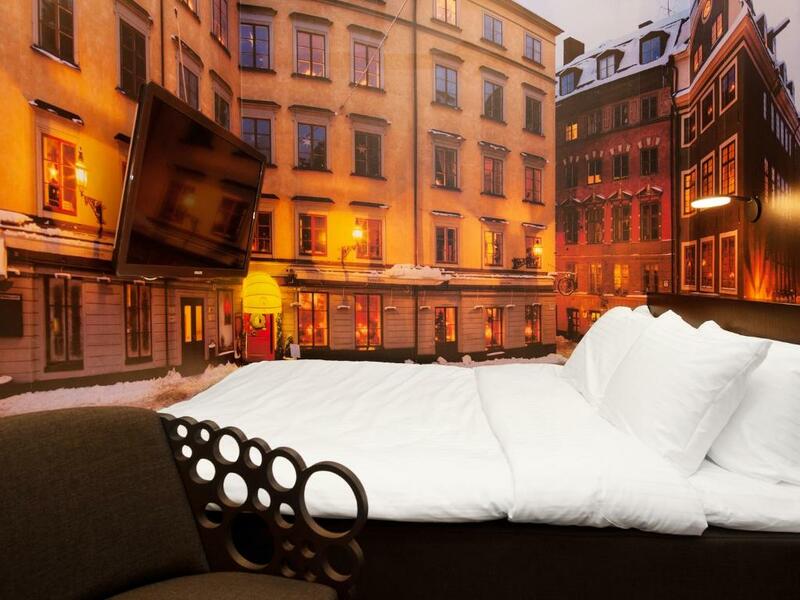 Lock in a great price for Hotel C Stockholm – rated 8.5 by recent guests! The staff was wonderful and very helpful. 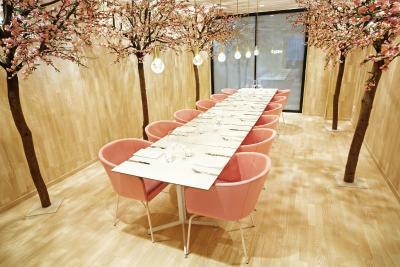 Location absolutely perfect and the breakfast was marvelous! A very price worthy stay! Great location, fabulous breakfast, and clean. Very comfortable! 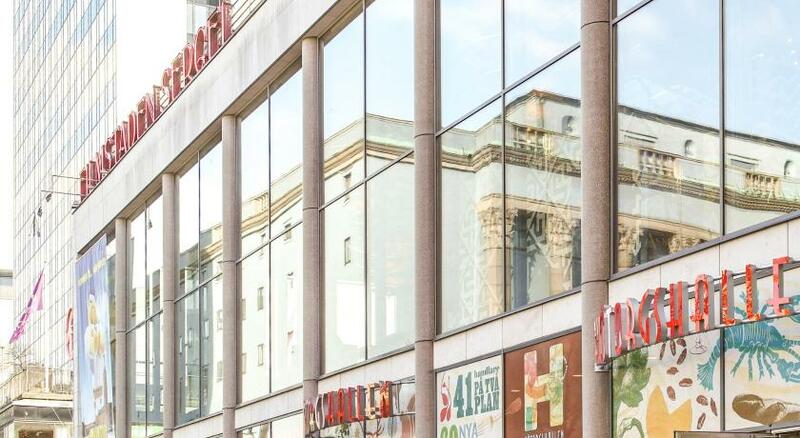 Easy access to all major attractions and central train station. I would highly recommend to all travelers. 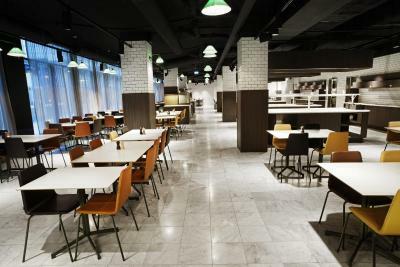 The staff members are very nice and I like the comfort of the room. We only stayed for one night, but we had a good rest, it was quiet and clean and the breakfast was excellent. 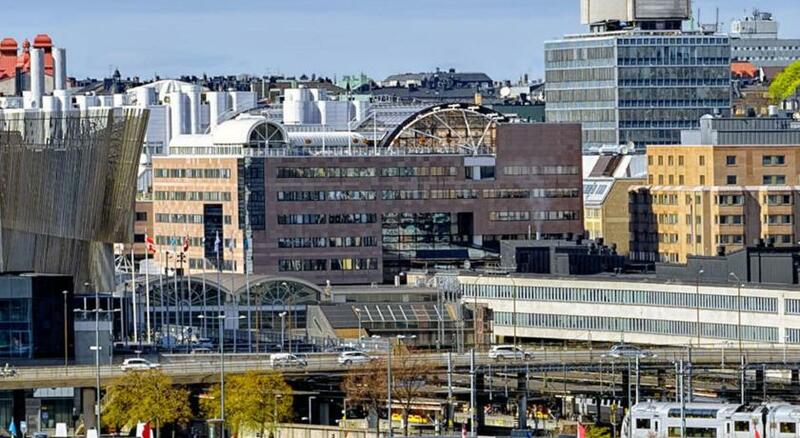 The location next to the Arlanda Express station, very centrally in the city. Good breakfast. Very easy check-in/-out. The staff was excellently polute and helpful. Also breakfast is significantly assertive. The person who checked us in and the person who "was" the gift shop were both very helpful, friendly, and efficient. 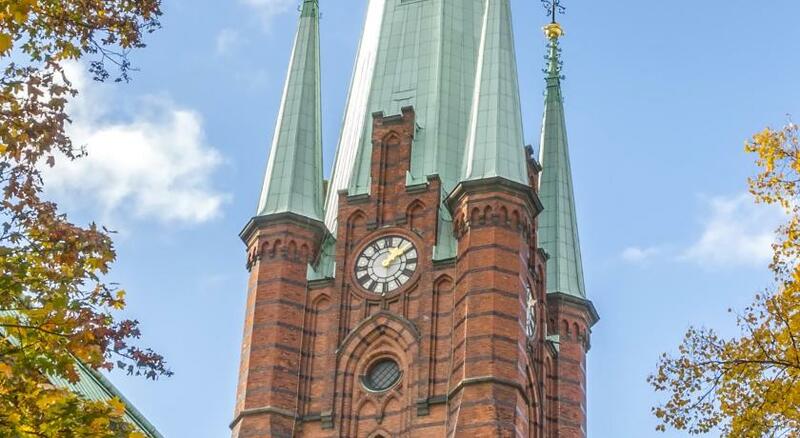 Clean, close to metro, fast train, bus station, shopping street, old city. A lady next to reception gives advises what to visit, was very helpful and friendly. Receptionist are very cooperative. Proximity to everything we wanted to see. Easy walking. Excellent breakfast. Excellent breakfast, full of options, great selection of fruits, plenty of food. 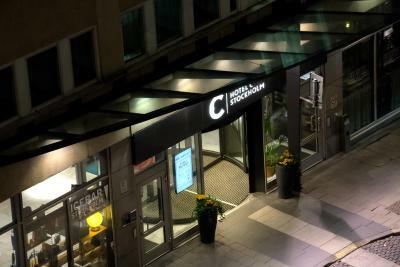 Hotel C Stockholm This rating is a reflection of how the property compares to the industry standard when it comes to price, facilities and services available. It's based on a self-evaluation by the property. Use this rating to help choose your stay! 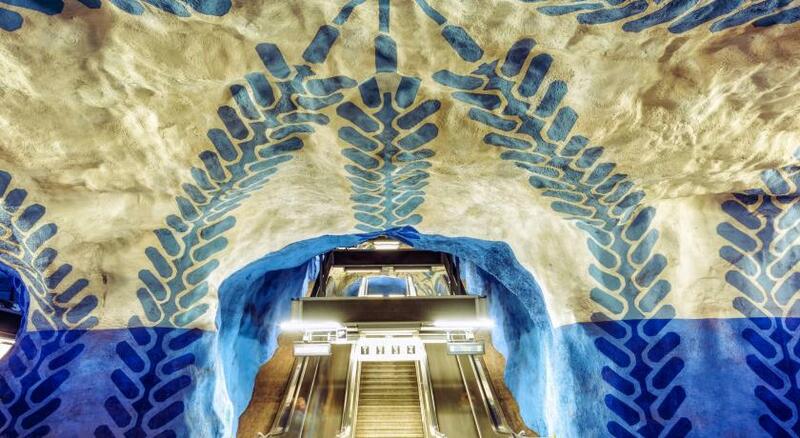 This hotel is home to Stockholm’s famous Icebar and is right next to Central Station and the Arlanda Express. 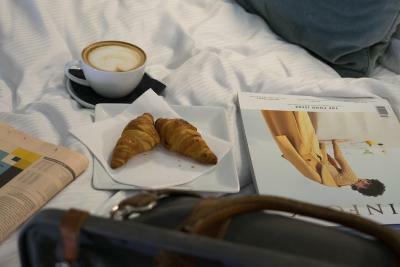 Its modern, stylish rooms feature tea/coffee facilities, cable TV and luxury beds. WiFi access is free. 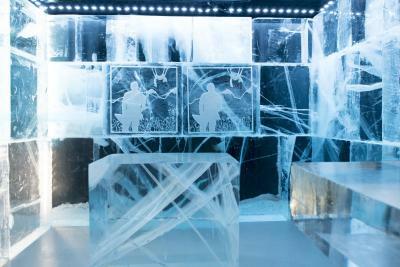 Hotel C Stockholm’s -5°C Icebar is the world’s 1st permanent ice bar, where even the glasses are made of ice. 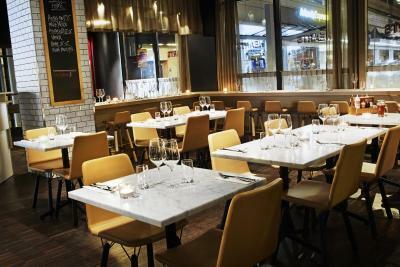 Hearts Restaurant provides a classic American diner experience, with burgers, lobster buckets and beer pitchers on offer. 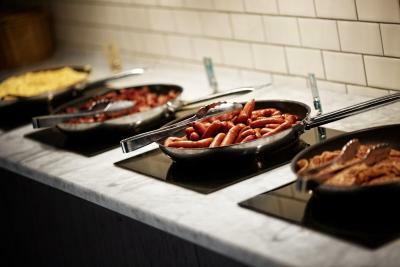 Hotel C Stockholm’s popular organic breakfast buffet includes homemade bread and fresh fruit. 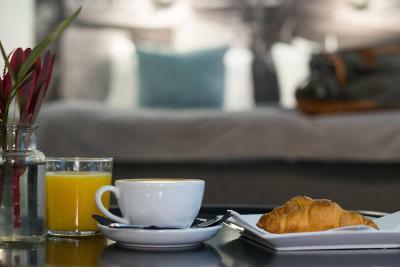 Those wishing to relax in the morning can treat themselves to breakfast in bed. 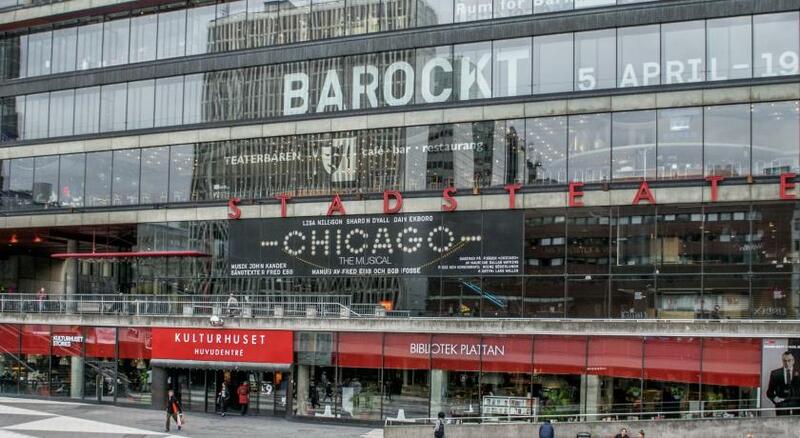 The bustling Drottninggatan shopping street is within 1,650 feet. 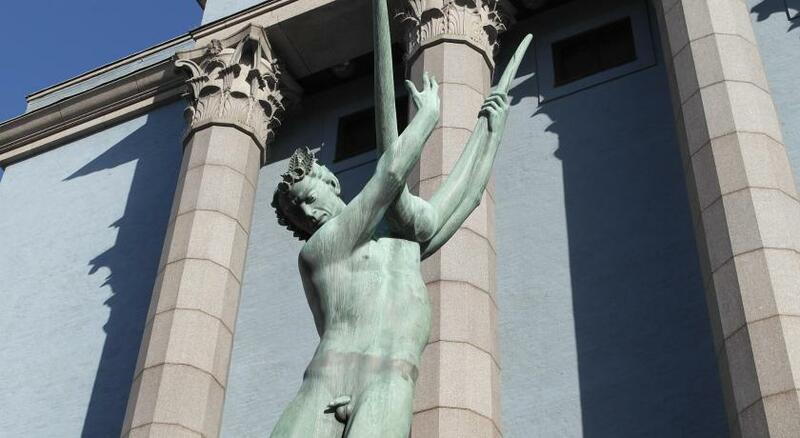 Stockholm's old town, Gamla Stan, is just a 10-minute walk away. 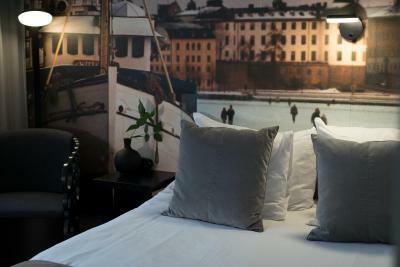 When would you like to stay at Hotel C Stockholm? Spacious room with cable TV and tea/coffee facilities. There is no space for extra beds in this room. Maximum occupancy is 2 guests. 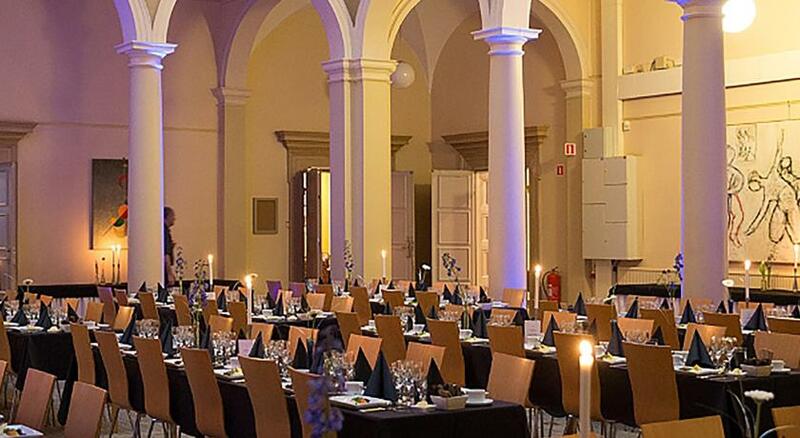 Private parking is available on site (reservation is not needed) and costs SEK 450 per day. Includes cable TV and tea/coffee facilities. 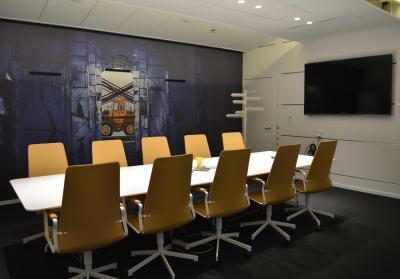 This windowless room includes cable TV and tea/coffee facilities. This spacious room features coffee/tea facilities, cable TV and desk. 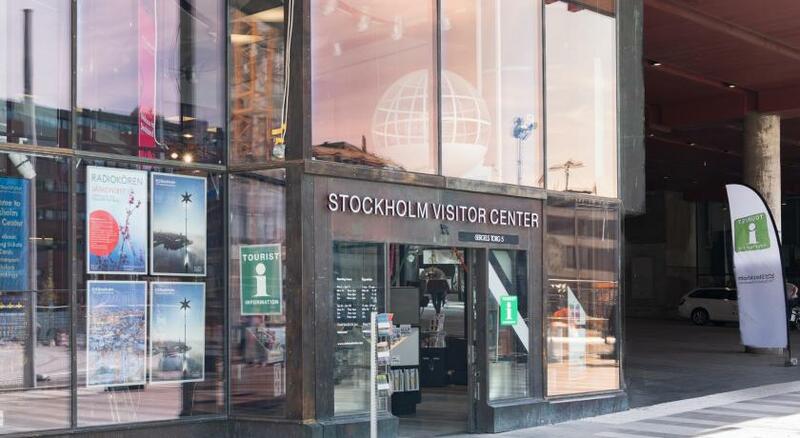 Welcome to the hotel that reflects Stockholm Our heart and soul are in Stockholm and we look forward to sharing our views of the city with you. 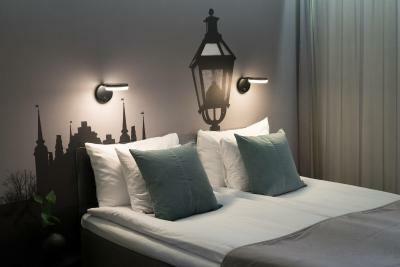 The hotel rooms have gone through extensive renovations (2012) and the rooms are now capturing moments from the streets and squares of Stockholm, through amazing photo wallpapers. 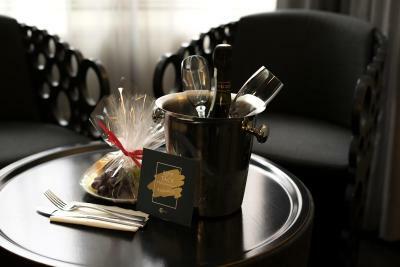 House Rules Hotel C Stockholm takes special requests – add in the next step! 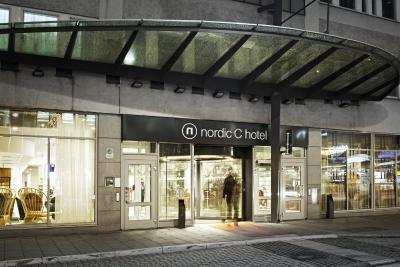 At Hotel C Stockholm, guests under the age of 18 can only check in if traveling as part of a family or with a legal guardian. 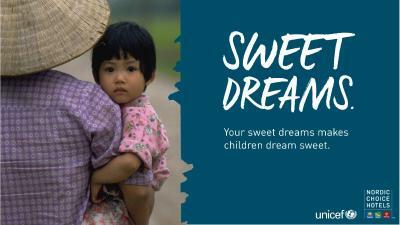 The hotel reserves the right to cancel bookings by unaccompanied minors. 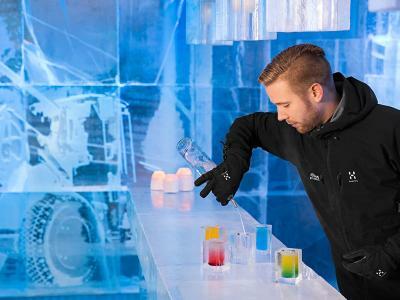 Please note that the opening hours for the Icebar vary throughout the year. When traveling with pets, please note that an extra charge of SEK 300 per stay applies. Icebar reservations are recommended in advance. Contact the property for further details. 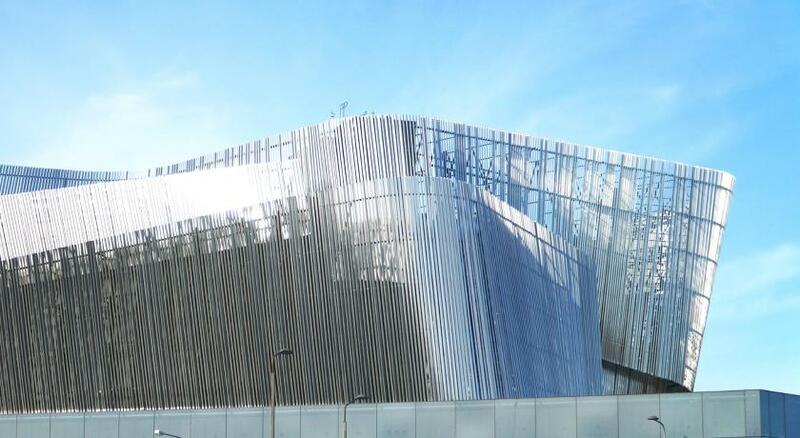 No windows, but no loss (not much to see there)! Only a small minus was inconvenient places for electrical outlet. There was a electric kettle in the room, but I couldn’t find one for it. I ended up placed the kettle on top of a drinking glass. Great location and service. Value for the price. Very nice breakfast buffet was included in the price. I will stay here again next time. - There was no minibar/fridge in the room. That would have been amazing if there was. Specially if you would like to put water or something you wanted inside. - The rooms seem to not be so sound proof. I could hear people talk outside our room and around us. I could hear someone next door having the TV on. I could hear someone above pulling chairs etc. - The breakfast was good but there wasn't much to choose from with their breakfast. 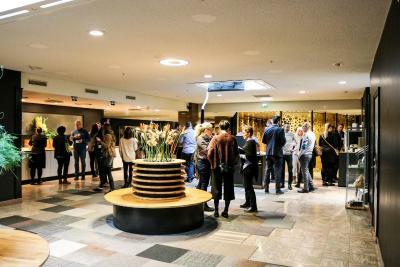 Also if someone would come to the breakfast around 09am or so or even 10am, it seems the choices was even less. It seems they didn't refill that much around 09am or 10am, compared to someone who would go to breakfast at 7am-09am. - Regardless what floor you are in, there will be no views from your window. 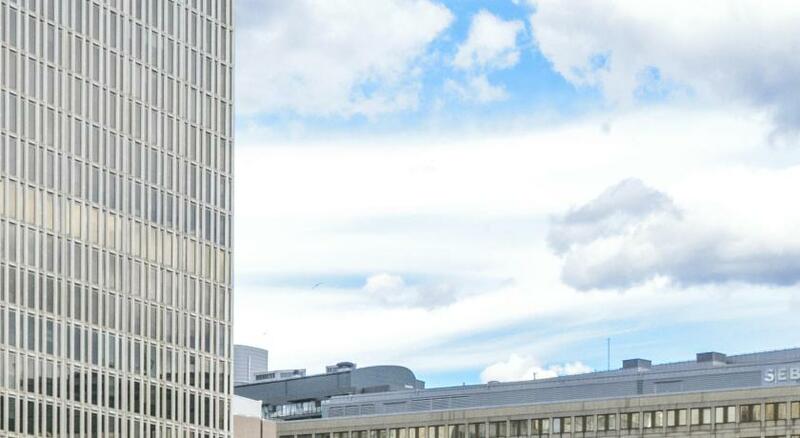 There is a building with offices outside your window. 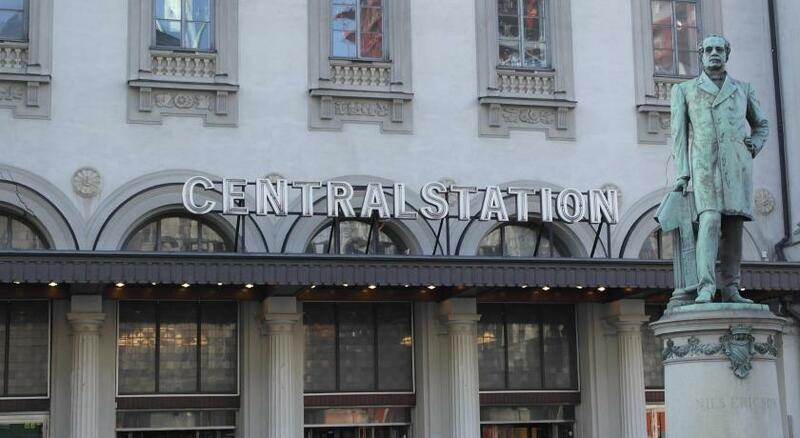 - I loved that the hotel was so close to the central train station. It was approx 5min away. 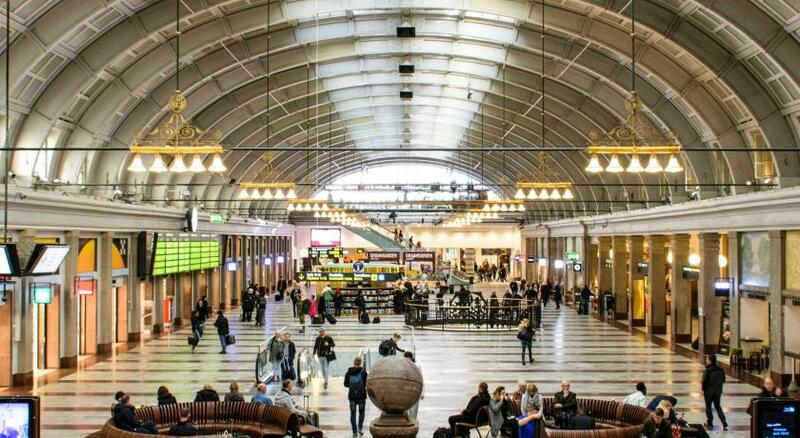 Then you have Arlanda Express next door. 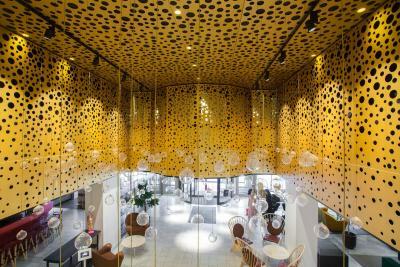 - You have plenty of various restaurants close by. Example you have the burger place Max around the corner. - On the floor I was there was this vending machine, next to it was a free water and ice machine. Sadly I discovered this the last day. But that is awesome that this hotel have free ice and water machine. 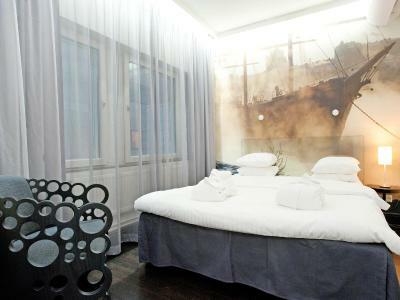 - The room I had which was a double room, was much bigger than I had expected it to be. 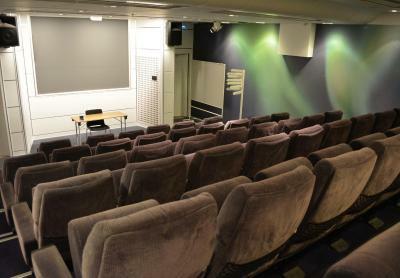 From seeing the pictures online it looked small but when you arrive it looks very spacious. - The staff are very friendly and customer service oriented. I asked for extra towels and within 2min someone knocked on my door and gave us the towels. The staff were always smiling and very kind. - I was there during the Easter weekend and breakfast was until 11am. It seems it is 11am during regular weekends as well. That is excellent specially for those who like to sleep little bit longer. - The location is perfect. 5min walking you end up in the middle of the shopping streets. - I saw that the Hop on Hop off bus stopped close to the hotel. If people would be interested in jumping on those buses. - The WC and bathroom was very spacious which I loved. Booked a twin room but the beds could only be moved 6 inches apart. Room was run down and very basic given the price of the room. Cheapest rooms are very small. Excellent location next to the airport shuttle train. Small entrance in the room & without door carpet. -> wet Socks. Difficult to hang the Coat/jacket. Shower fastener did not work. The bed was slightly small for 2 people and we didn't first realize that there was another blanket in the cupboard. The towels were slightly old and obviously used quite a lot.